We try out Demonstrate, an app that lets you create a working mock-up of an iOS app in very little time. Demonstrate, an iOS app developed by Chennai based developer NFN Labs (that stands for Noef Fing Name- say that really fast), gives you a simple way to build a mock-up of an app and share it among friends and colleagues. It is particularly suited for those of you who have an app idea planned out and know what it should look like and what it should do. At this stage, you can use Demonstrate to program the way your app behaves, without actually requiring any coding experience. I have had the chance to try out Demonstrate (limited version available for free on iTunes) and the first thing that struck me about it was its minimalistic design that uses a lot of the same elements as iOS 7 (predominantly white backgrounds, thin fonts, non-skeuomorphic icons etc.). At first start, the app throws up a basic tutorial, after which you can either play around with the demo project to get a hang of how the app works, or jump right into the fray by uploading your apps’ sketches or renders from your iOS device’s image library or Dropbox. After the renders have been uploaded, you can then choose areas to link within a particular screen and what other screens they should link to. For example, if you have a button marked as ‘Contacts’ on a particular screen, you can link it to a separate page where you have the contacts listed. Doing this is quite simple- all you do is drag a square/rectangle over the area you want to treat as a button, click on the ‘Link’ option that pops up and then choose the screen that should open after the button has been clicked. Demonstrate also lets you choose what transition effect should come into play while moving between screens, effects which have been introduced in iOS 7. 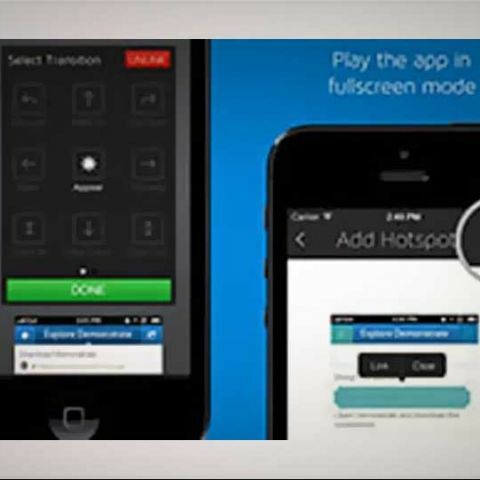 (Left) Using Demonstrate to work with all the screens that your app will have; (Right) Choosing the transition effect between the screens. 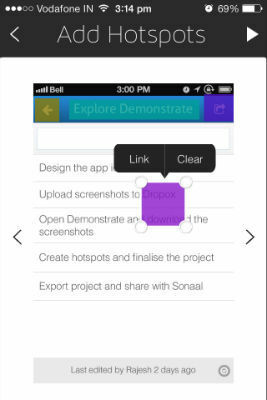 Once you’re done with your project, simply swipe down on the main screen to export your project using Dropbox or iTunes in an editable format or just as a demo. 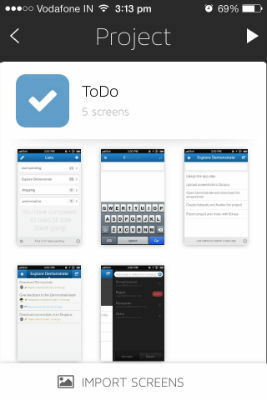 As I mentioned earlier, Demonstrate is a particularly simple way to create a mock-up of an app. It cuts down on time you may have earlier had to spend coding and lets you get your app out of the door quickly and in style. There were a couple of things that I thought were limitations with the app. 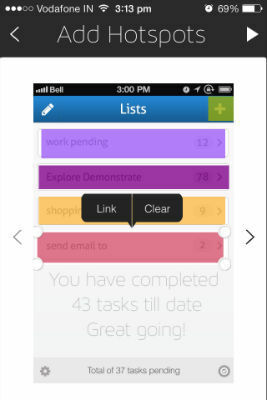 First, the free app limits you to only two projects beyond which you’ll have to pay $4.99 (Rs. 310 approx.) per month if you want to create unlimited projects with unlimited screens. This may prove to be expensive for those who may just be finding their feet in the world of iOS development because this is definitely an app that they would find extremely helpful. Another thing I missed was the inclusion of gestures as currently Demonstrate only lets you program button taps but not gestures for different actions. 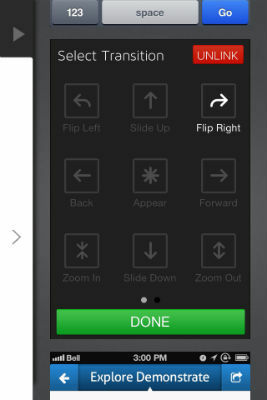 I also wish the developers had included a more exhaustive working example of an app mockup than the default one. Overall though, these are just minor gripes because in its current state, Demonstrate is definitely a very useful app if you are interested in developing for iOS.